One is Star Wars Jedi: Fallen Order. Is the other Titanfall 3? 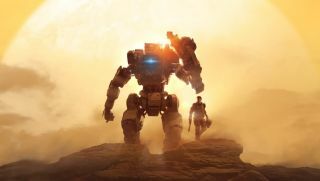 In an EA earnings call yesterday execs coyly let slip that Respawn Entertainment is releasing multiple games in 2019, and it sounds like not all of them have been announced yet. In EA's opening statement. via Seeking Alpha, EA CEO Andrew Wilson said "across multiple studios, we have new projects underway, including games from Respawn that are slated to launch by next holiday season." The use of plural was picked up during the investor Q&A by Ryan Gee of Barclays Capital Inc. "It's been a couple years since Respawn has done anything with its flagship Titanfall franchise, but I'm not sure if I heard that correctly. It sounded like we should expect games, plural, from Respawn I suppose next year. Did I hear that correctly?" "Just consider that a little Easter egg left in the earnings call for you," said Jorgensen. "We'll announce more when we get there. But clearly we've got a lot of things working with all of our studios, and you should assume that there will be some things that we haven't announced that come out later in the year when we go to give guidance for next year." Last year Respawn CEO Vince Zampella announced that the studio is working on a Star Wars game called Star Wars Jedi: Fallen Order. That's due Autumn 2019, which accounts for one release. Respawn is also working on a "realistic" VR war game due out next year. The reference to "some things that we haven't announced" is intriguing, though. Will we get more Titanfall in 2019?